The Bharat Petroleum Corporation Limited is going to issue the Bharat Petroleum Scholarship 2019 Application Form for all the students who pursue higher education in India or abroad. The main objective of the Corporation is to support students who face a financial hurdle in pursuing their studies. 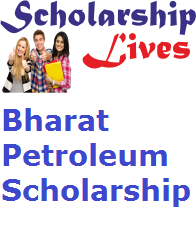 BPCL Scholarship is Application form twice during the year i.e. once between 1st May – 31st May and then again between 1st September and November. Applications received by BPCL after the due date will not be considered. If you are also one of the eligible candidates then don’t miss this golden opportunity and Bharat Petroleum Online Form 2019 through the link which is mention before the last date. Eligibility Criteria for Bharat Petroleum Scholarship 2019. Students should be of Indian National. Applicant’s age should not exceed more than 25 years. Applicants have secured at least 60 % marks in graduate courses. Indian National students who are less than 25 years of age as of September 2018. Further, Applicants must have protected 65 % in art stream and 70 % for science and commerce. According to latest notification applicants with confirmed admission to any postgraduate course in any reputed college India or abroad are qualified to apply. All interested and eligible candidates apply for Bharat Petroleum Scholarship twice in a year by visiting the official website. The application form will be filled via online mode. Application sent through post or email will not be accepted.